After being asked a couple of times why I do not describe myself as a "clicker trainer" and avoid using the term "clicker training" I decided to write a small article on why I personally avoid using this title and prefer using one of the following: "positive reinforcement based trainer" and "humane, science-based trainer". This article also somewhat answers the frequently asked question: Is there a difference between positive reinforcement and clicker training or are they the same? Please note, the aim of this article is not to criticise "clicker trainers" just to share why I avoid using this term. I don't like describing my training by an object, after all "natural horsemanship" trainers do not call themselves "stick trainers". 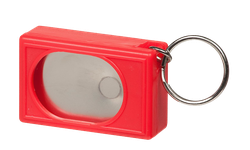 The clicker is a small box producing mechanical clicks and it can be use as marker signal to improve timing. Although it is designed to be used with positive reinforcement, it can also be used in an aversive way. For example, as a predictor to punishment. After all it's only a little box, it's the meaning you give it that matters. It is also quite frequent to see people using negative reinforcement to get a behaviour and then add a click/treat at the end and call it "clicker training", but is it positive reinforcement? The same goes for a stick; it can be used in an aversive way or it can be used as a target, where the horse seeks it and move towards it. Just like negative reinforcement can be practiced without a stick, positive reinforcement can be practiced without a clicker. As previously explained, the usual purpose of a clicker is to improve timing. It is a great tool in many training situation but it is not necessary or useful in every situation. It is a useful skill/tool for positive reinforcement based trainers but so is shaping, targeting, capturing etc. So far it sounds like I really dislike the term "clicker training", but the truth is, I just really love the term "positive reinforcement". Positive reinforcement really put back science into animals training and the use of the term itself makes others question what quadrant of operant conditioning there are using.